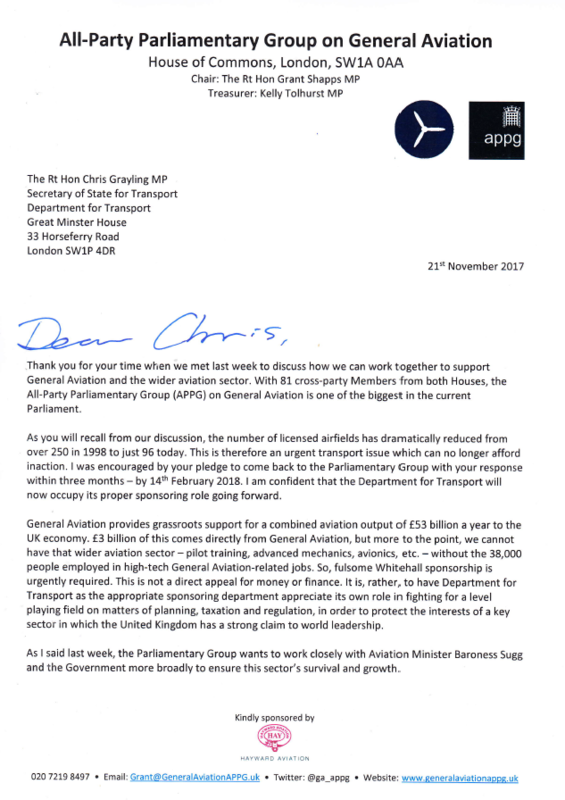 The All-Party Parliamentary Group (APPG) on General Aviation has written to Transport Secretary Chris Grayling following their meeting last week, to reiterate calls for urgent ministerial action on protecting our airfields. The All-Party Group urges the Department for Transport to occupy its role as the sponsoring department for General Aviation in Government and argue the case for such a critical sector of the UK economy. The Group calls for cross-departmental discussions with colleagues across Government. Mr Grayling promised to come back to the Parliamentary Group with an action plan by 14th February 2018 at the latest. 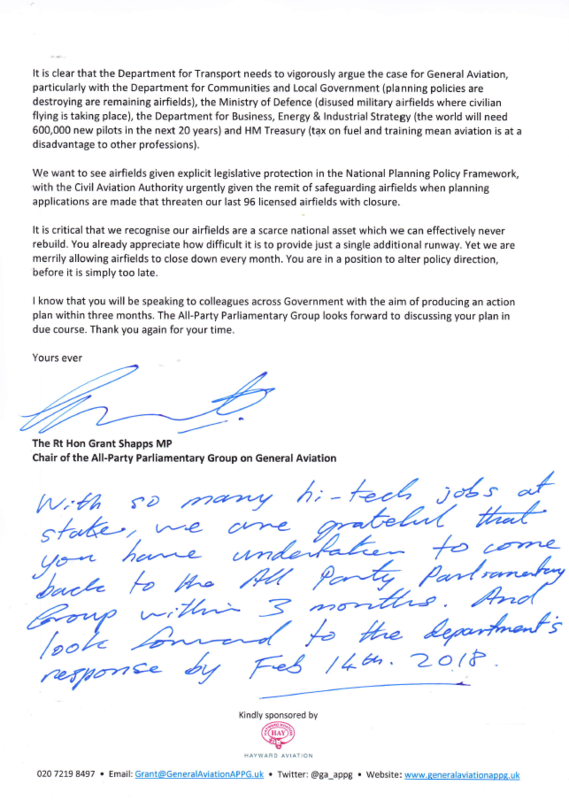 In the letter, Grant Shapps MP, Chair of the Group, says: “We want to see airfields given explicit legislative protection in the National Planning Policy Framework, with the Civil Aviation Authority urgently given the remit of safeguarding airfields when planning applications are made that threaten our last 96 licensed airfields with closure.